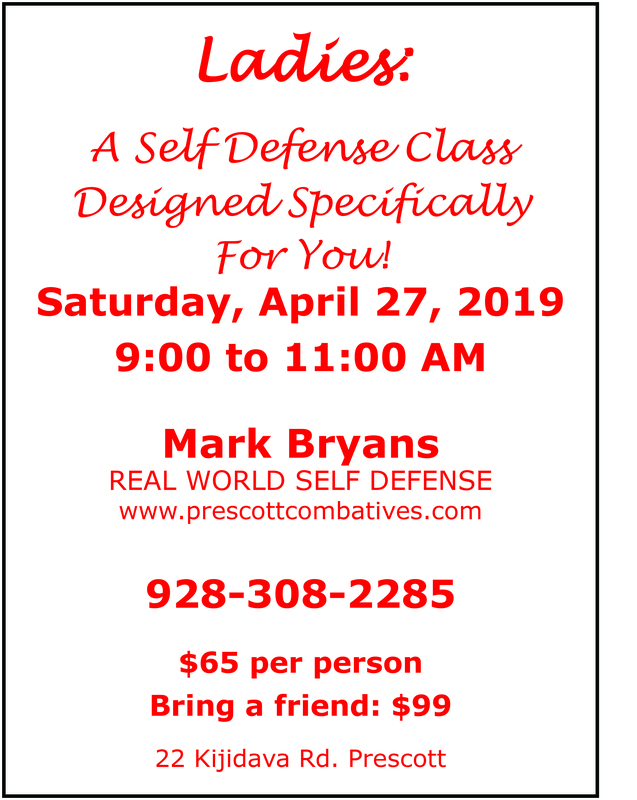 Welcome to the Prescott Combatives Website. In today's volatile world, many people may be exposed to a dangerous situation that threatens their personal safety unexpectedly. Please watch our videos and check out our site. Interested in some of our radio interviews click on this link. If you are interested in joining please call me at 928-637-6064 and we can talk. I look forward to hearing from you. Click Here to view some workshop videos.